← Spine Problems: How to Take Care of It? Becoming disabled can feel like your life has been flipped upside down and put on hold. Dealing with a disability at first can be depressing and frustrating as you try to get back to your normal life but find that you are unable to do even the basic activities on your own. This lack of independence can be disheartening for anyone. However, OptimumCare Home Care Services provides home care services in Woodbridge, Virginia that can help you overcome your disability for a better and more independent life. The hardest part about becoming disabled is relearning the skills you need for your day-to-day life. However, our services for skilled nursing in McLean, Virginia can help you in every step of this process. Through our occupational and physical therapy services, we can help you steadily regain the strength needed to improve your independence. These skills can help you relearn how to get dressed with your disability to using the computer again. Besides helping you relearn the skills, we can also help you learn new skills. These skills can help make life easier for your disability, so you can continue living an independent lifestyle. These skills will focus on the kind of disability you have. For example, if you have lost a limb, we can help you learn how to live as efficiently and effectively without that limb and provide you with coping skills to function as normally as possible. You will be presented with unique challenges but these are challenges that are not impossible to overcome. Depending on the severity of your disability, you may require our companion services in Fredericksburg, Virginia. Through these services, we will stay by your side and make sure that you have the respectful and helping hand you need to get through the day. However, we are more than just a caregiver. We can become your friend too. That is basically one of the many benefits you can get from simple companionship. More than physical assistance, companions can provide emotional support, especially during a difficult time like getting used to your disability. A disability can change your life forever but just because your life has changed, it does not mean it is negative all throughout. 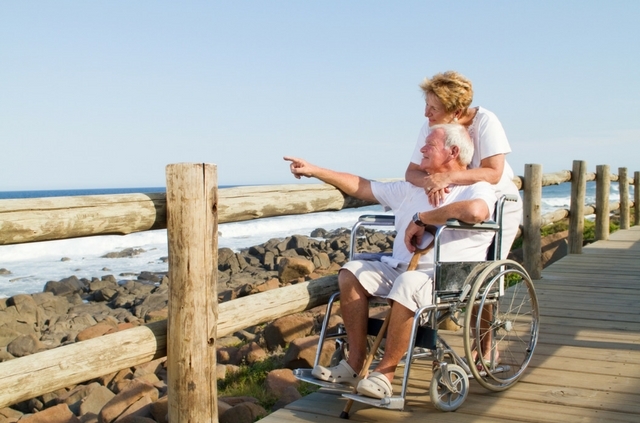 Through our services, we can help you overcome the challenges in your way for a more independent lifestyle – the kind of lifestyle that you can live on your own terms. This entry was posted in Non-medical home care and tagged care companion, Healthy Living, Non-medical home care, non-medical home care in Greensboro Drive McLean VA, Senior Care. Bookmark the permalink.